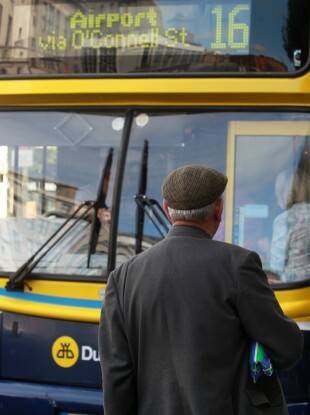 It’s reported that pensioners, who currently avail of free travel, could be asked to pay €5 for some journeys. PENSIONERS COULD BE asked to pay a contribution towards some public transport journeys as part of a new budget proposal. According to a report in today’s Irish Independent a subsidy of €5 could be placed on some longer rail or bus journeys. The government spends €77 million a year on the free transport programme, which is under review as part of a wider review of all expenditure within the Department of Social Protection. Earlier this month Minister Joan Burton said that the free travel scheme is much valued and that the review may actually offer opportunities to strengthen it. Fionnan Sheahan’s report also predicts that cuts to the electricity and TV licence allowance could also be on the way. What do you think? Should pensioners contribute towards their public transport travel? Email “Poll: Should pensioners be charged for travel? ”. Feedback on “Poll: Should pensioners be charged for travel? ”.